The latest images from a new homes location near Haslington show construction progressing well, with the project on course for the first residents to move in before the end of 2017. 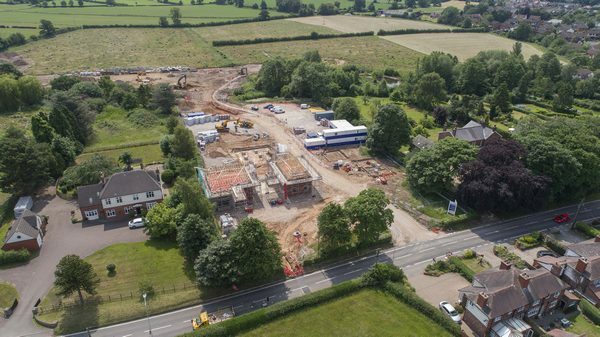 The images from the Crewe Road development in Hazelmere, which is being built by leading national house builder Bovis Homes, show the foundations of the show homes and sales centre complete, with the buildings' superstructures now taking shape. These buildings are expected to be completed later this summer, when Bovis Homes will invite potential customers to look around the properties and find out more about the 245-home site. 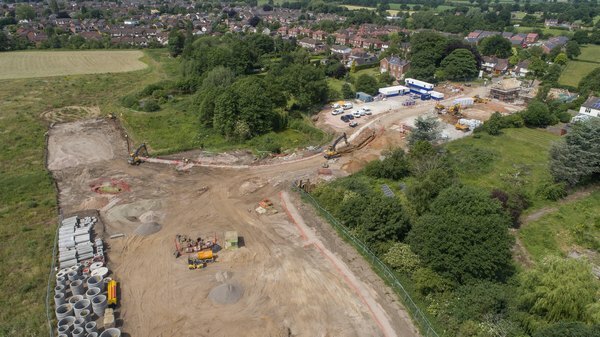 As well as the progression of the show home and sales centre, work is also underway on the foundations for other homes, as well as on the access roads into the site. Carina Wilde, Regional Marketing Manager at Bovis Homes, said: "It's very exciting to see things progressing well at Haslington and we're looking forward to showing customers round the new site when the first homes are launched later this summer. Anyone who would like to register their interest in the new homes can do so on our website." A total of 245 two to five bedroom homes will be built at Hazelmere from starter homes through to detached family properties, including more than 70 homes designated as affordable properties. Alongside the new homes, the development will see Bovis Homes invest significantly in the local community, including almost £1 million towards primary and secondary education and £650,000 for highways improvements. Once complete, Hazelmere will also serve as the pilot location for Bovis Homes' first 'connected home', which harnesses a range of modern smart technology with the help of concealed cabling and virtually invisible devices.